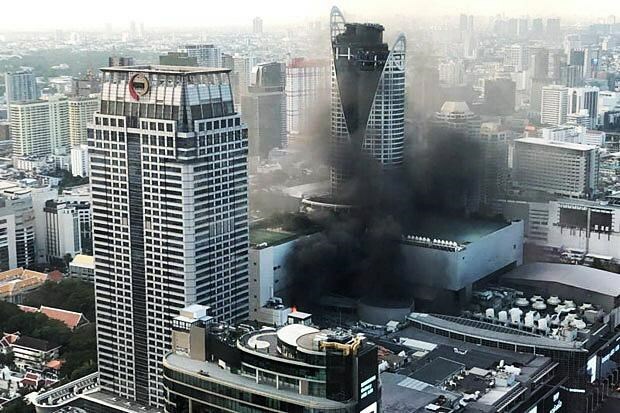 Bangkok (VNA) – Central World – Thailand’s biggest shopping complex in Bangkok – has been closed for investigation into the reason of a blaze occurred on April 10 which killed at least two people, and check fire suppression system of the building. According to Bangkok Governor Aswin Kwangmuang, the 16-storey building will stay close until safety is confirmed. Consequences of the incident will be calculated, while the police will make investigations into the case, he said. The fire happened at the eighth floor of the building at around 17:40, forcing people in the building and a nearby hotel to evacuate. It was controlled at 18:10. According to The Bangkok Post, the fire killed two people and injured 15 others.